Looking for modern and beautiful Hanukkah props? These blessing cards include the Hanukkah blessings on a easy to read designed card. They beautiful and so useful. 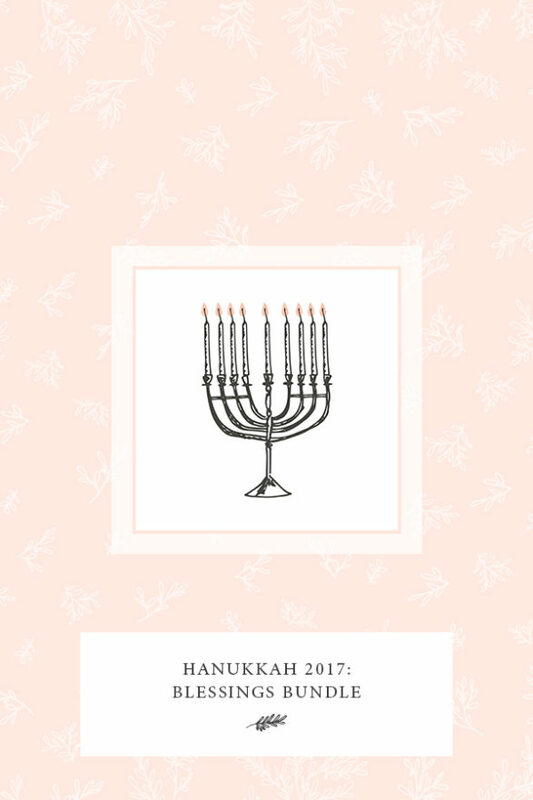 You can print them on heavy stock paper, cut them out and then use them for each night of Hanukkah. As long as you do not dip them in oil or mush a latke on top of them, they can be used next year too. These sweet and savory latkes are mini-sized and baked, making them cute and crispy. They are oil-free so they are healthier for our bodies. Serve with proposed applesauce for a sweet latke and/or with the sour “cream” for a savory latke. Spinning the dreidel is a traditional game played during the eight days of Hanukkah. Here is a helpful printable download that includes clear (and correct) rules of the game and an easy to read dreidel illustration. You can print them out for your Hanukkah party guests. Hanukkah presents are more special with beautiful gift tags. Here are three printable gifts tags to adorn your Hanukkah gifts. Your turn: Tell us in the comments, what Hanukkah prop are you dreaming about?